Microsoft is finally ready to release the second technical preview of Windows Server 2016 more than six months after the previous incarnation was outed. 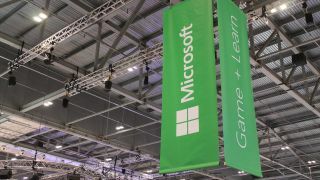 First reported by ZDNet, Microsoft plans to roll out the next technical preview at some point in May and to do so it is extending the date of the first version, which was slated to run out on April 15. "Microsoft will release a solution to extend the current Windows Server Next Technical Preview until the next preview is available. The next preview will be available in May," a Microsoft spokesperson told ZDNet. Microsoft's first preview build of Windows Server 2016 came out way back in October 2014 and it's speculated the next version will have built-in containerization support, protected virtual machine mode and a few other tweaks. Many of those migrating to the new Windows Server will do so from Windows Server 2003, which gets to its end-of-life next month and has already been called the "biggest security threat of 2015" by one IT specialist. Windows Server releases have traditionally happened alongside new versions of Windows, however, the upcoming release won't arrive until 2016 and as such misses the chance to share the limelight with Windows 10.